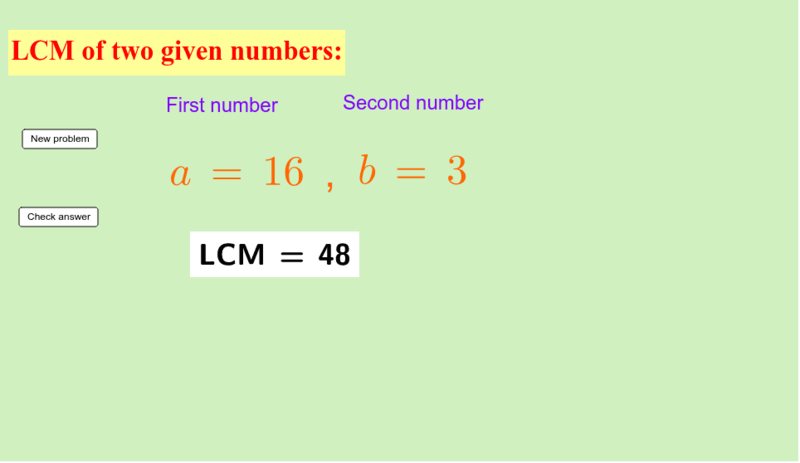 LCM is Lowest Common Multiple of two or three numbers. 1. Click on "New problem" and try to find the lcm. 2. Write the result in your book: e.g. LCM (12,5) = 60 3. Now check if your answer is right by clicking on "Check answer" 4. Click on "New problem" again and continue the same way until you got at least 10 right answers.